Looking for a one of a kind necklace for your beach wedding? This stunning, one-of-a-kind bohemian statement necklace would make the perfect addition to your beach wedding or that little black dress. Each humanely-harvested sea urchin spine of this necklace has been expertly hand-drilled and sealed with acrylic sealer to prevent flaking. Each bead has been hand-strung on high-quality stainless steel, nylon coated beading wire. 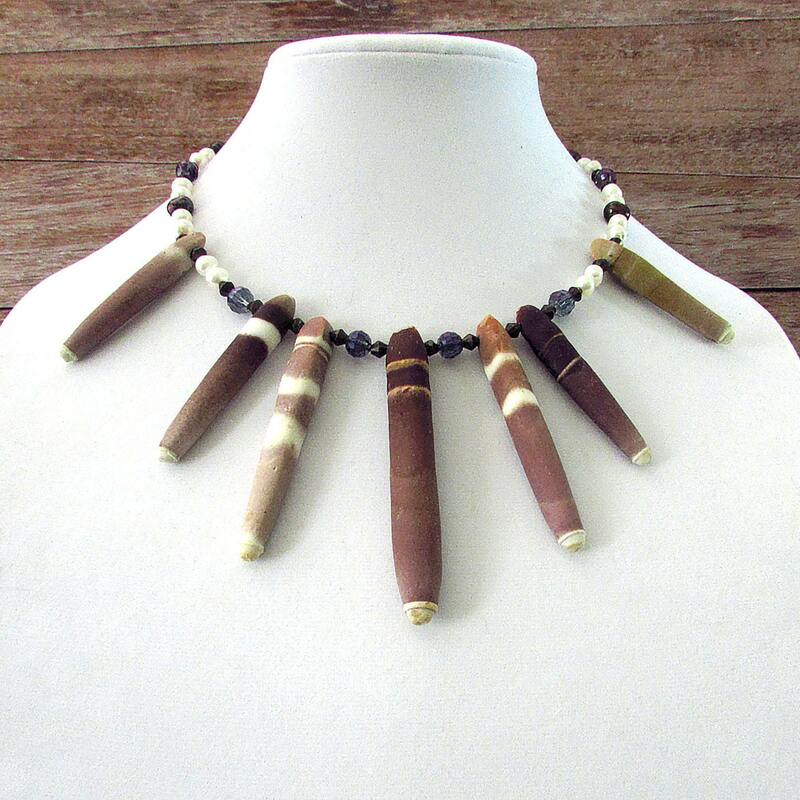 The pearls used in the creation of this lovely necklace are high-quality, stark white, freshwater potato pearls. A lovely patterned brass toggle clasp makes this piece easy to wear. Make this piece yours today. This necklace measures approximately 19 inches (48.26 cm) in length.